Egyptian newspaper publishes Egypt's plan for a long-term ceasefire in Gaza. Sides have yet to agree. The Egyptian newspaper Al-Shourouq published on Friday afternoon what it said was an 11-point plan proposed by Egypt to Israel and Hamas in order to bring about a long-term ceasefire in Gaza. Israel will stop the attacks in Gaza, from sea, land and air. There will be no ground entries of Israeli troops into Gaza. All the factions in Gaza will stop the attacks on Israel by land, sea and air. The construction of the terror tunnels will be stopped as well. Movement of people and goods for the purpose of rebuilding Gaza will be permitted, as well as trade of goods from Judea and Samaria and Gaza, and vice versa, in accordance with the principles to be agreed upon between Israel and the Palestinian Authority (PA). Israeli authorities will coordinate with the Palestinian Authority any matters related to finances and the reconstruction of Gaza. Elimination of the buffer zone in northern and eastern Gaza and deployment of the Palestinian Authority’s security forces starting January 1, 2015. Freedom of fishing and movement in the territorial waters of Gaza within six miles. The range will be gradually increased to no less than 12 miles, in coordination between the PA and Israel. Israeli authorities will assist the Palestinian Authority in rebuilding the damaged infrastructure in Gaza, and will help meet the needs of those who were forced to flee their homes because of the fighting. In addition, Israel will provide urgent medical assistance to the wounded, and bring in food and humanitarian aid to Gaza. The Palestinian Authority in coordination with the Israeli authorities and international organizations will provide the basic products needed to rehabilitate Gaza, according to a defined schedule that will allow for the rapid return of displaced persons to their homes as soon as possible. Egypt urges the international community to provide urgent humanitarian assistance and raise the funds needed to rebuild Gaza, according to a defined schedule. After the ceasefire is stabilized and normal life resumes in Gaza, the two sides will complete the indirect talks in Cairo, within one month from the date of the agreement which has not yet been signed. Ways to set up and operate an airport and a seaport in Gaza, in accordance with the Oslo Accords and other previous agreements, will be discussed. According to Channel 2 News, Israel and the PA have not yet submitted their response to the Egyptian proposal. Diplomatic sources in Jerusalem told the channel that Israel has not yet agreed to any proposal. "Israel insists that any agreements clearly express Israel’s security needs," they stressed. 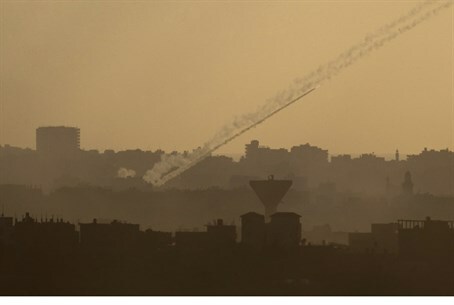 Earlier Friday, an Islamic Jihad spokesperson claimed that a truce deal with Israel will be signed as soon the current five-day ceasefire ends next Monday at midnight. The statements come after Islamic Jihad second-in-command Ziad Nahala said Friday the war with Israel is "behind us," adding "we have no choice but to reach a truce agreement." However, another senior Islamic Jihad terrorist, Halad al-Batash, said Thursday night that his organization may embark on a long-term ceasefire even if a long-term truce deal is not reached with Israel. The statement roughly mirrors that of Minister Naftali Bennett (Jewish Home), who on Friday pushed for a unilateral end of the Gaza operation without an agreement with Hamas, accompanied by several Israeli concessions and an essential return to the status quo.